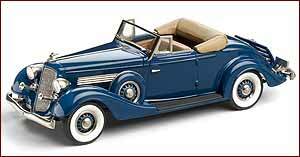 Since 2007, Brooklin Models have been producing the superb Buick Collection. Over the ensuing years this range will grow to eventually represent all the standard styles and series produced by Buick during these six years 1934-1939. This will mean some 130 variants in total.